Kcee – Fvck You ft. Kizz Daniel. 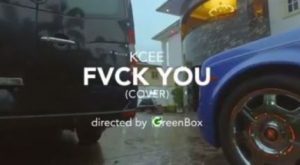 Five Star Music singer, KCee drops his own cover of Kizz Daniel’s Fvck You challenge and we’re excited to share. He does a pretty decent job with this one but we’d let you be the judge whether his version is dope or not. Without further ado, watch the video below and get the audio as well.